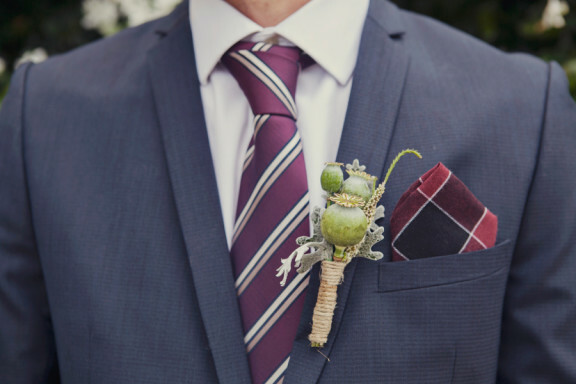 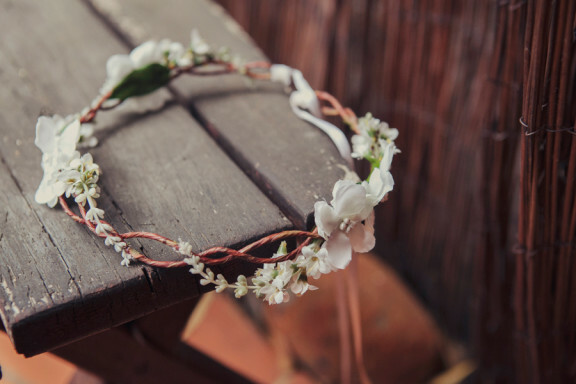 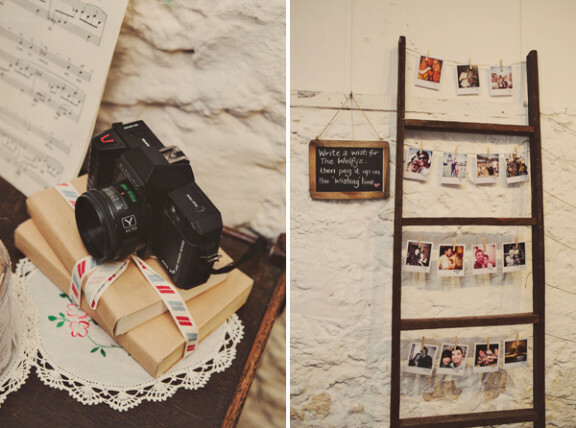 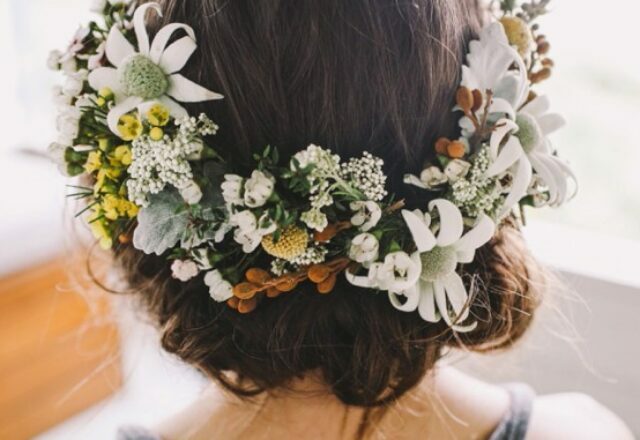 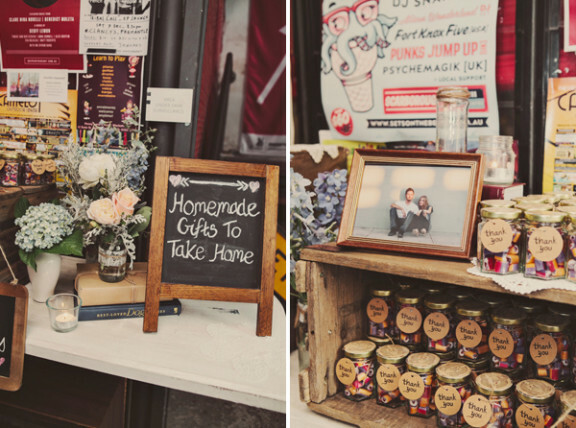 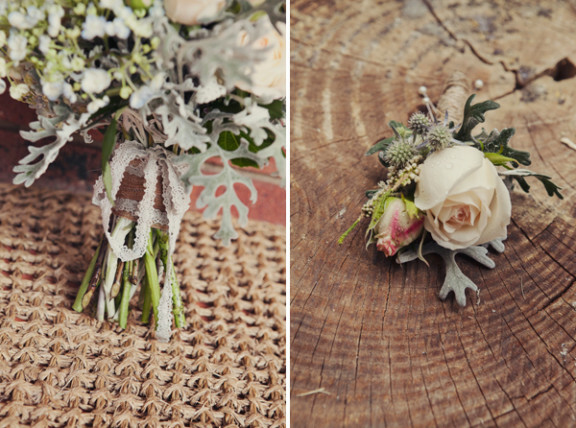 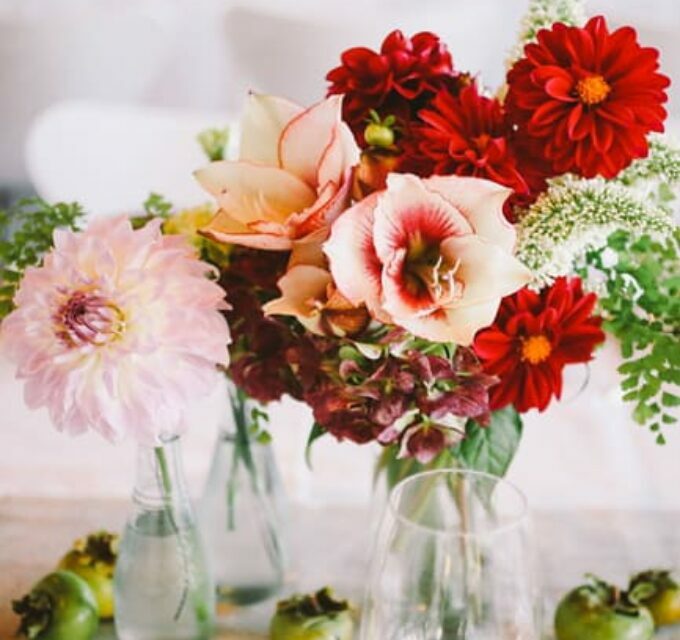 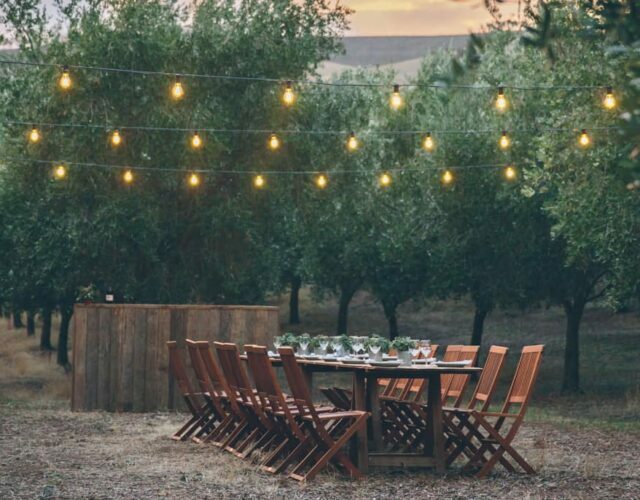 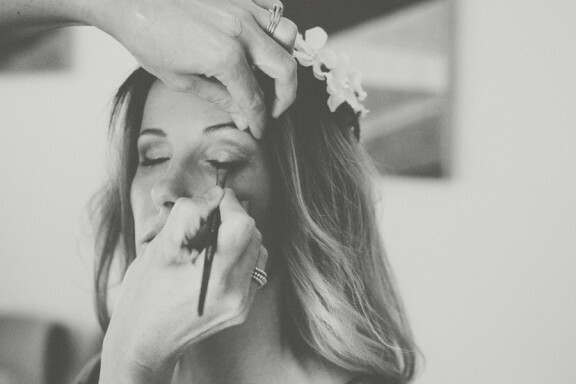 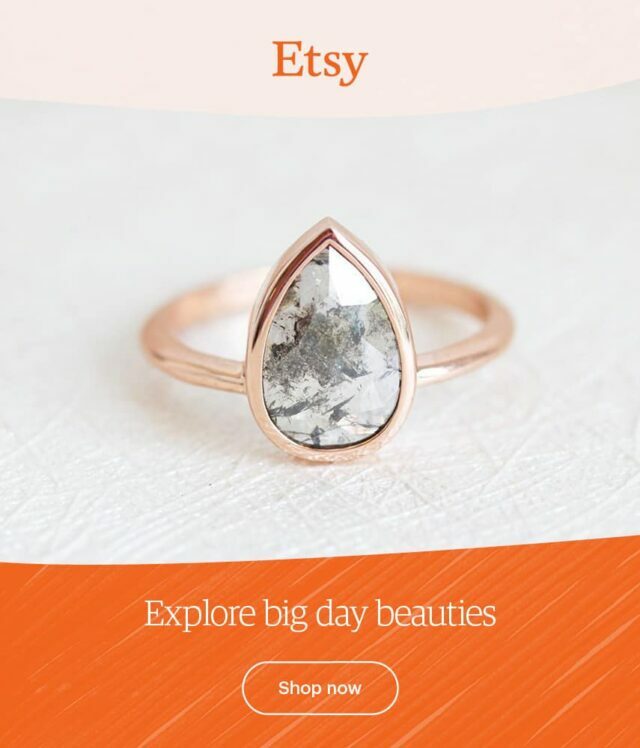 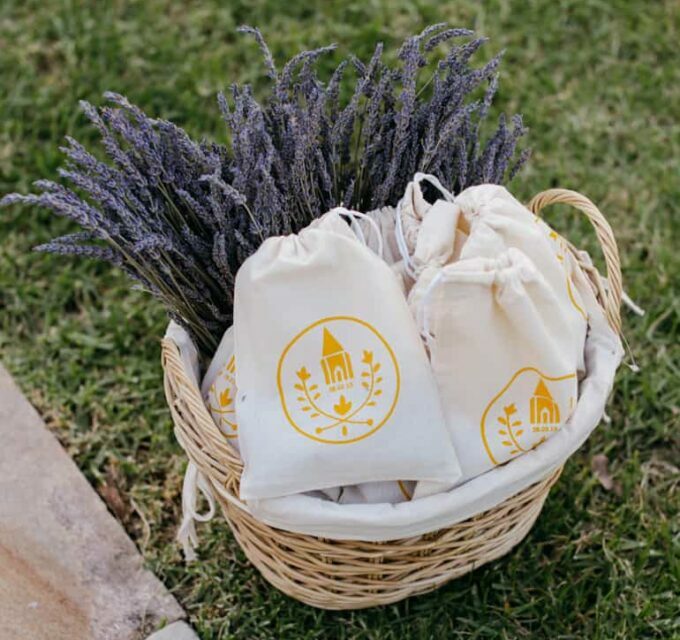 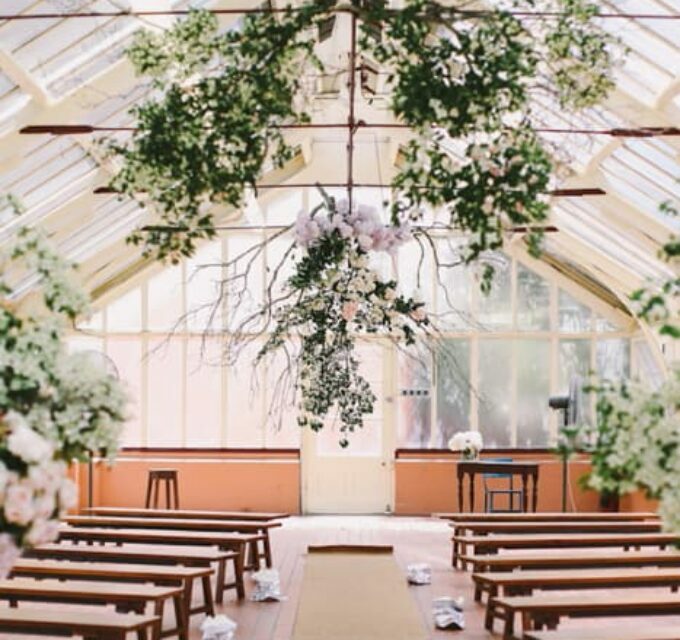 I love a handmade wedding, particularly when the DIY projects are a joint effort between the bride and groom. 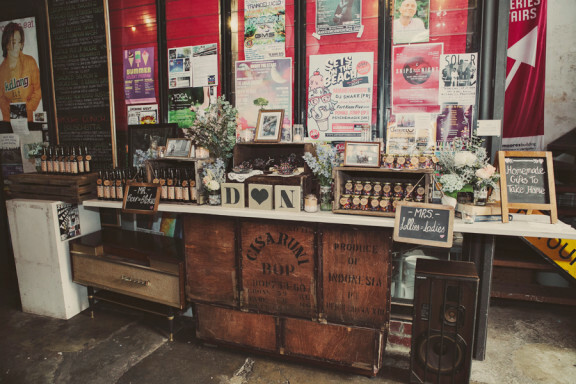 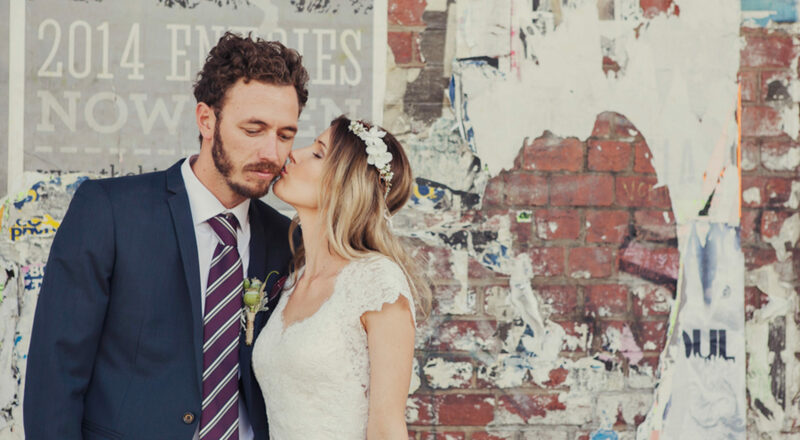 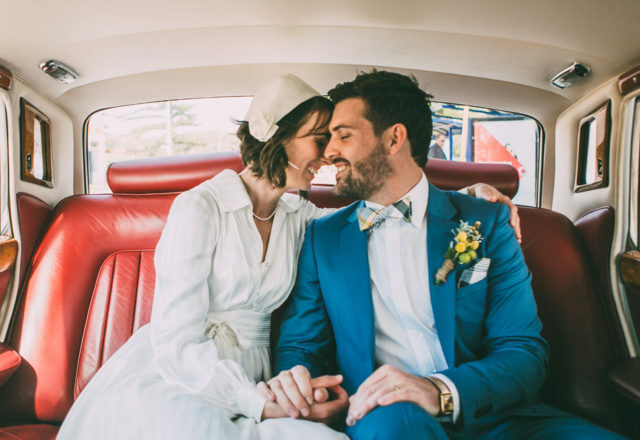 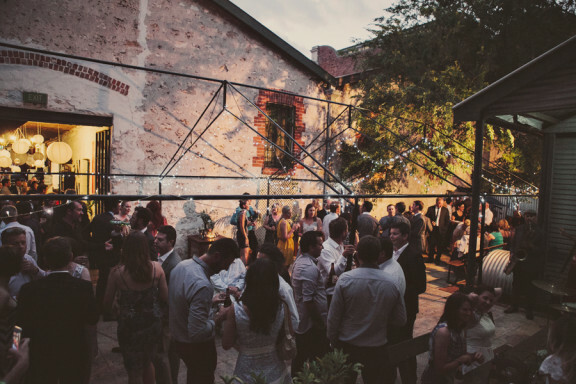 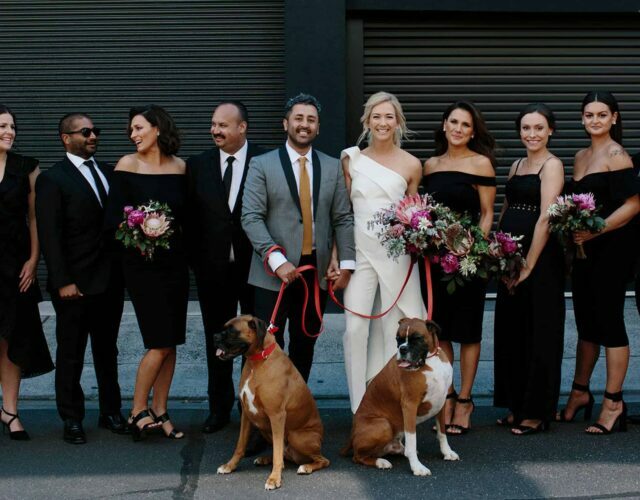 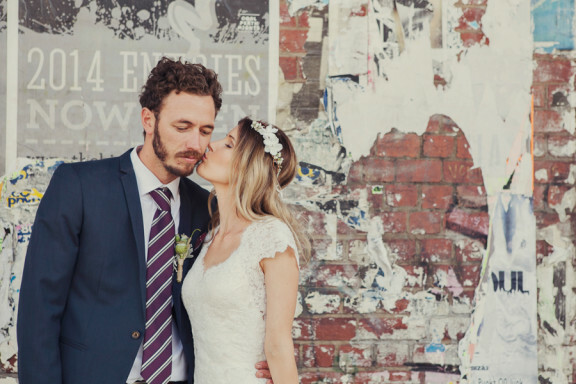 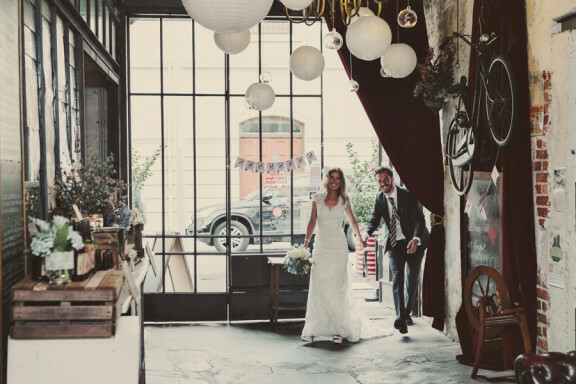 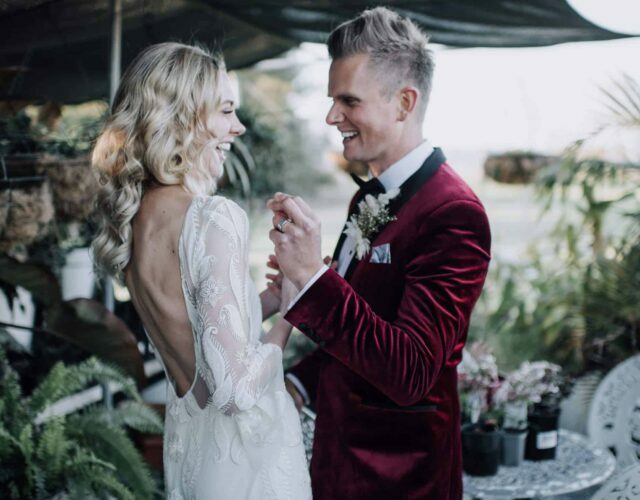 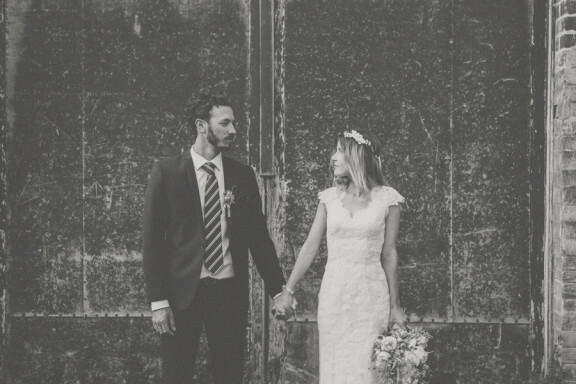 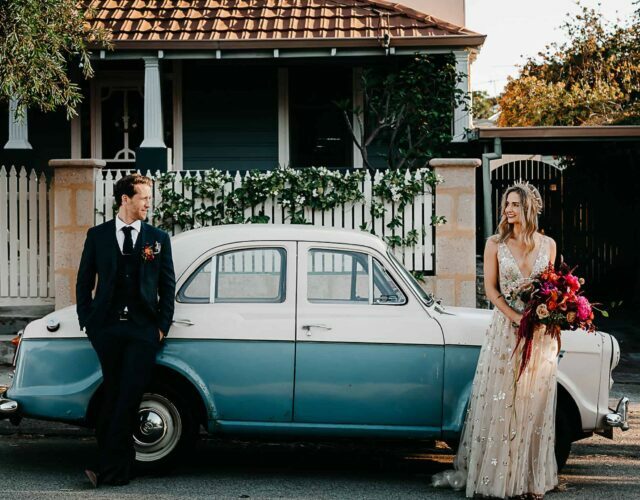 Dave and Nicole (the artist and the art lover) collaborated on a myriad of creative endeavours for their vintage Fremantle wedding. 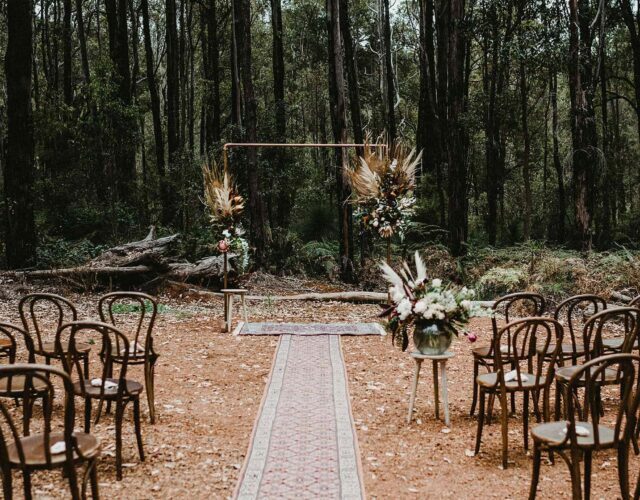 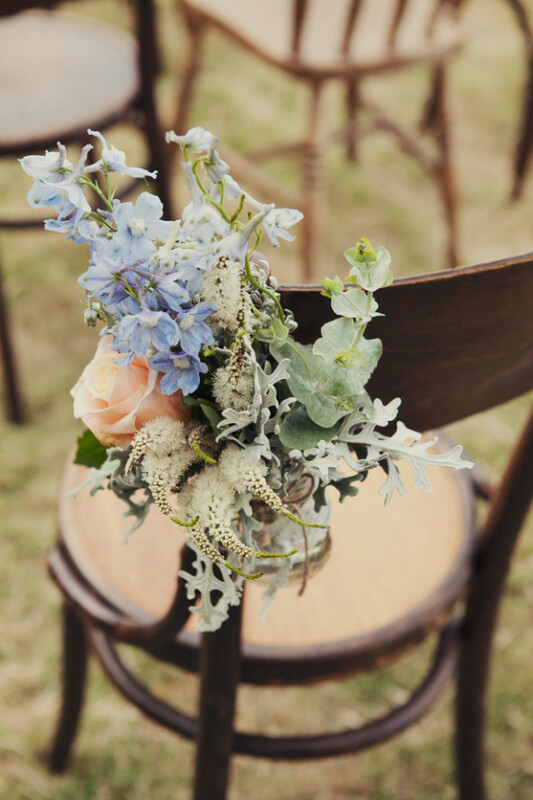 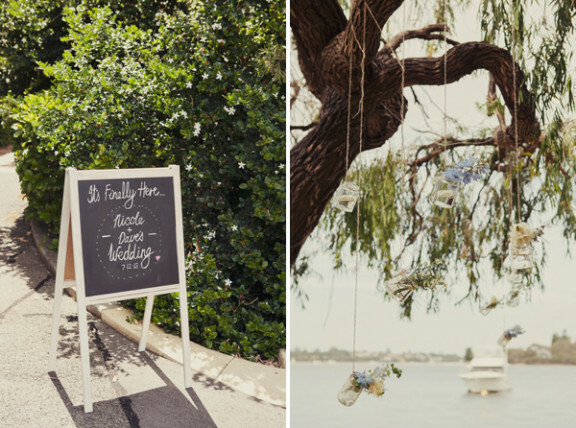 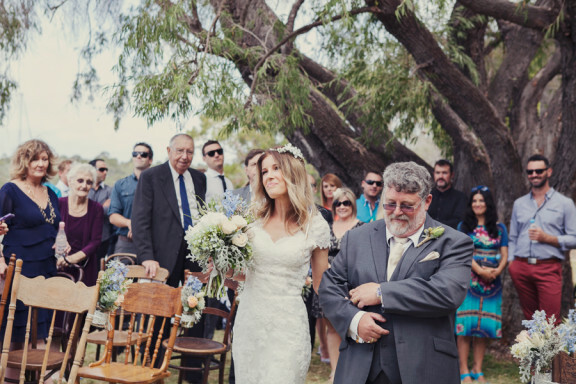 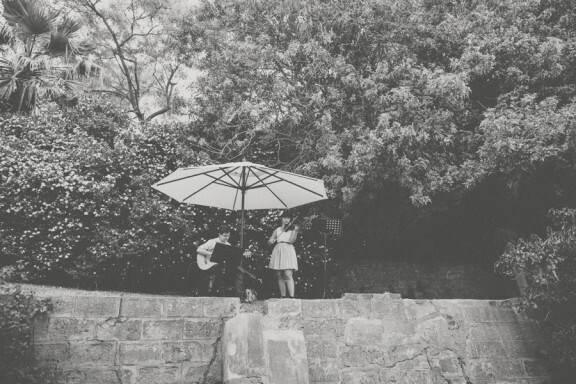 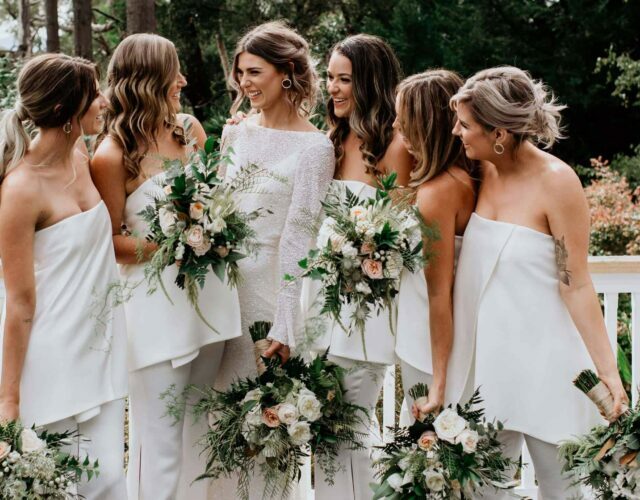 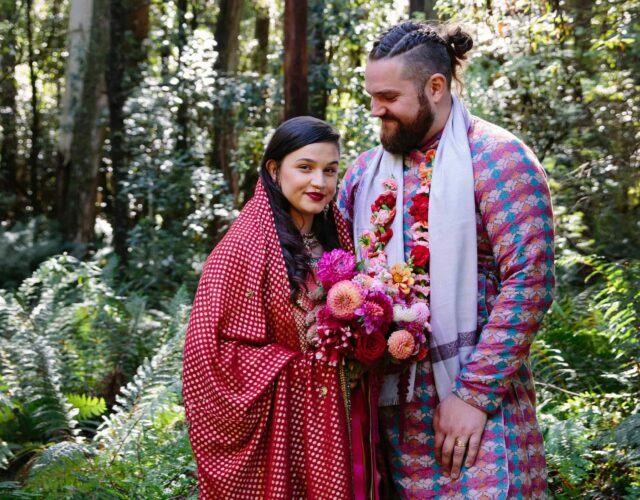 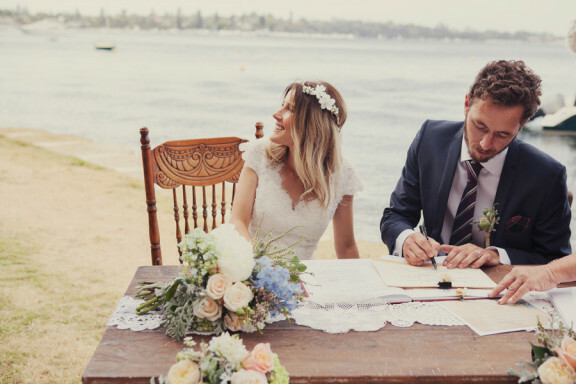 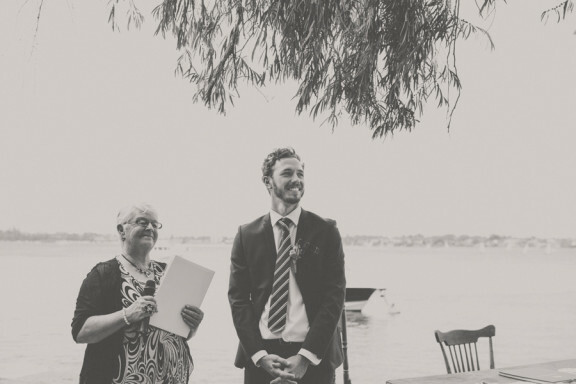 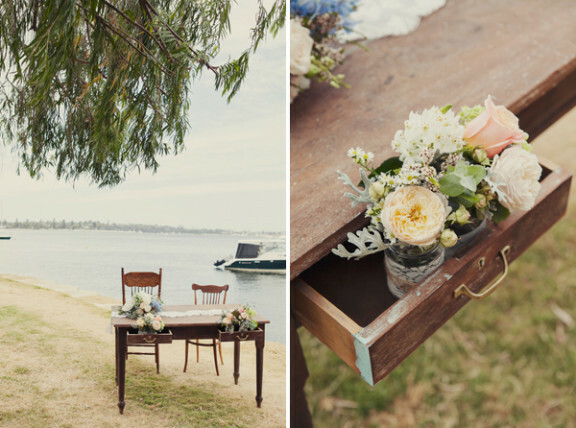 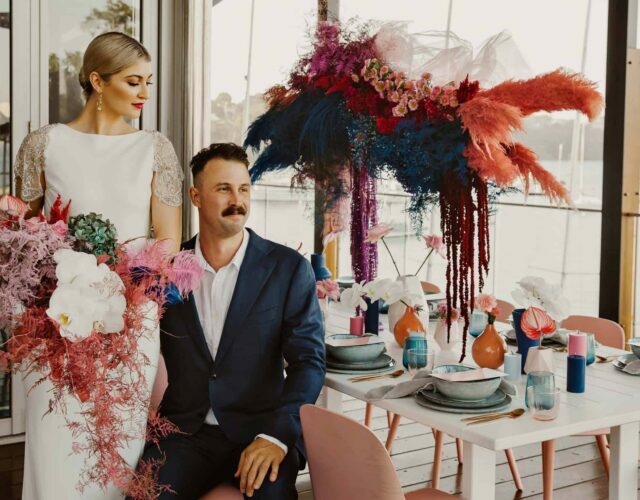 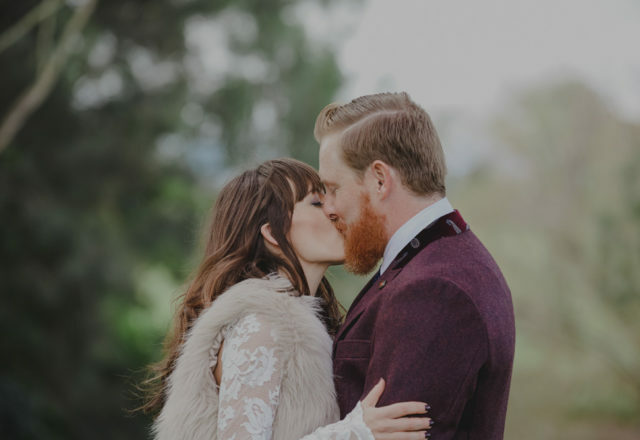 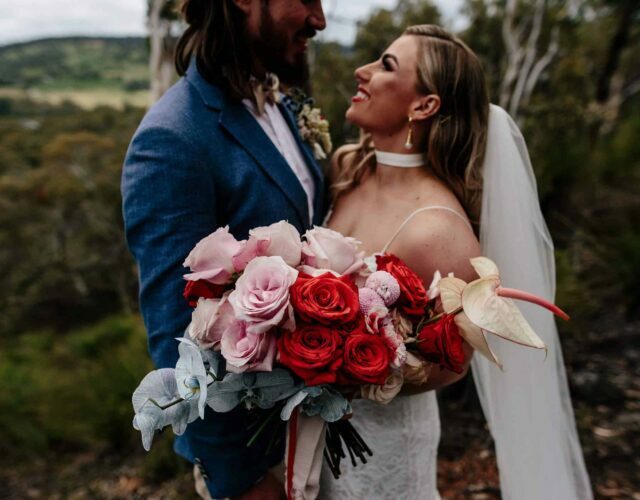 Styled with mismatching chairs and vintage props (collected on weekend op-shop expeditions) Nicole and Dave’s intimate ceremony took place at a picturesque little bay on the Swan River. 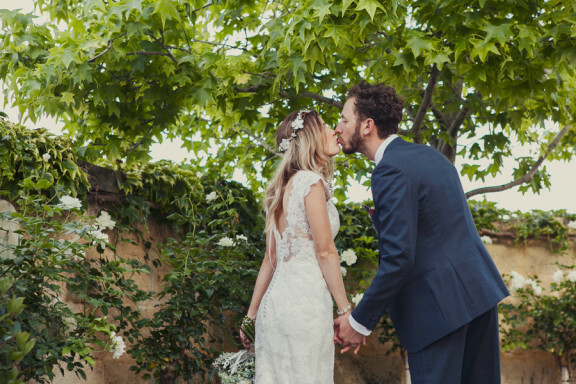 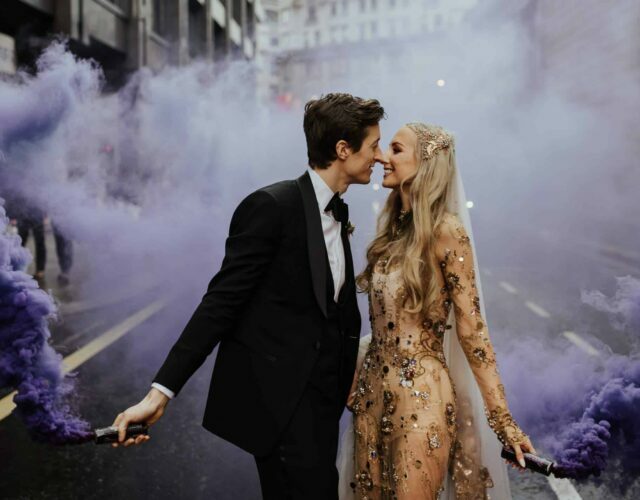 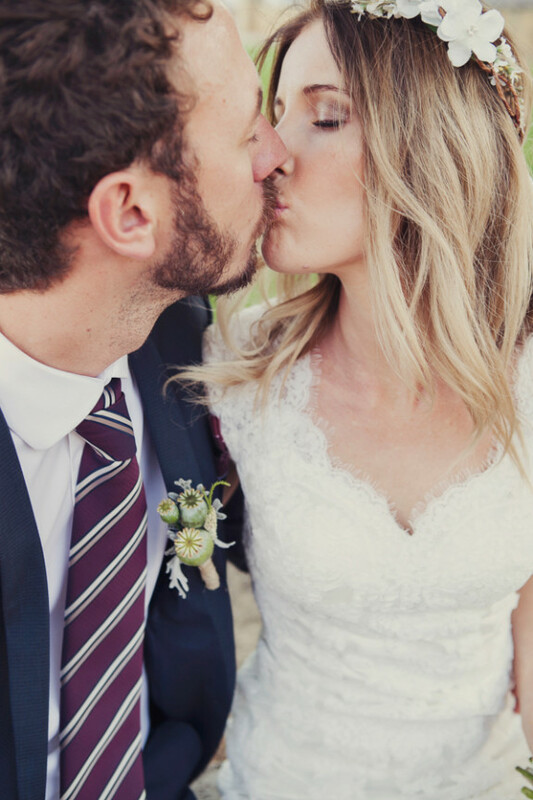 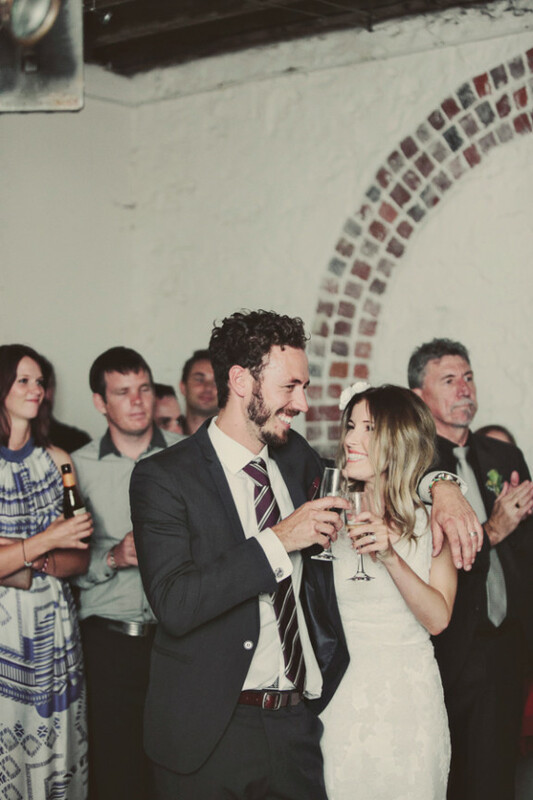 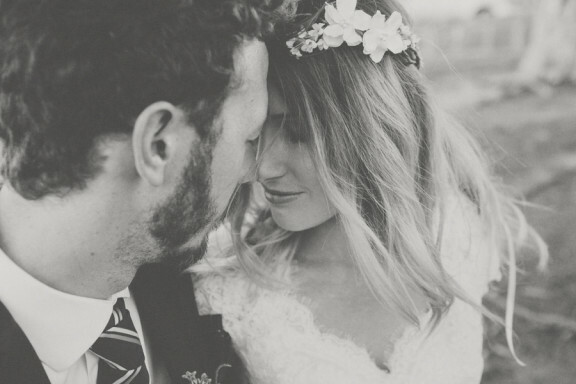 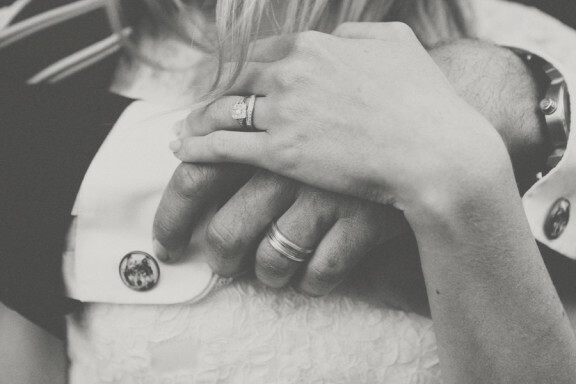 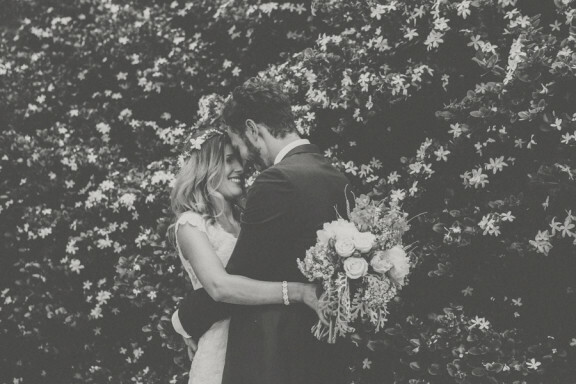 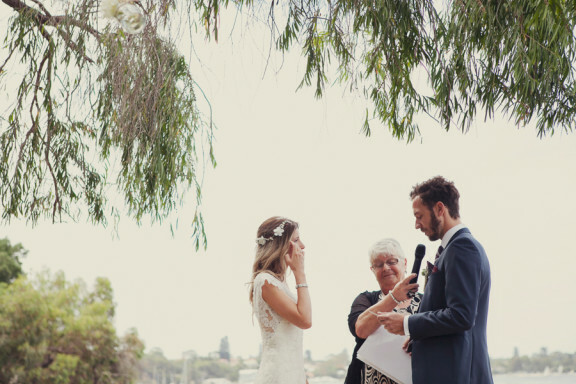 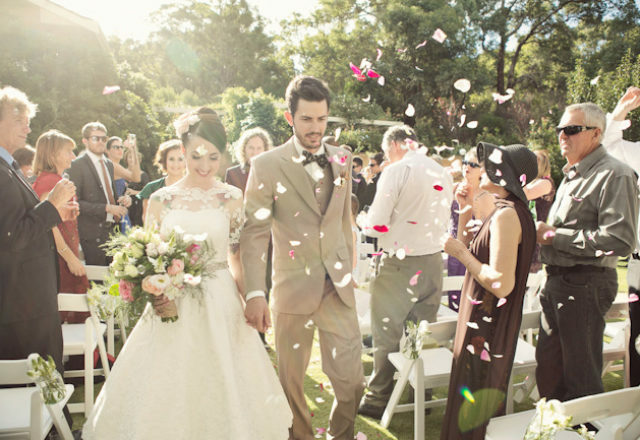 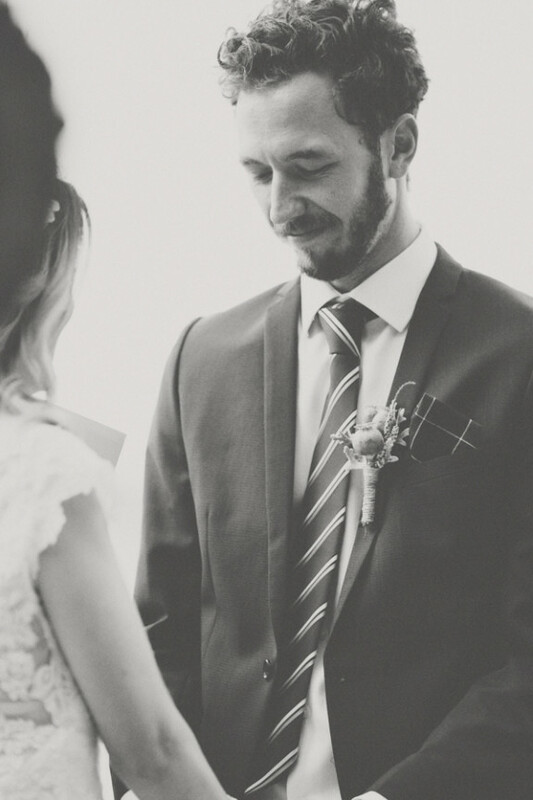 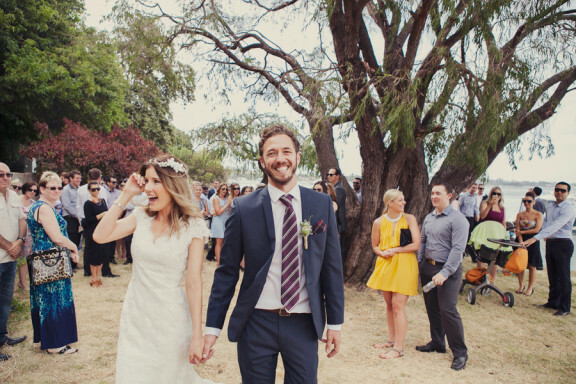 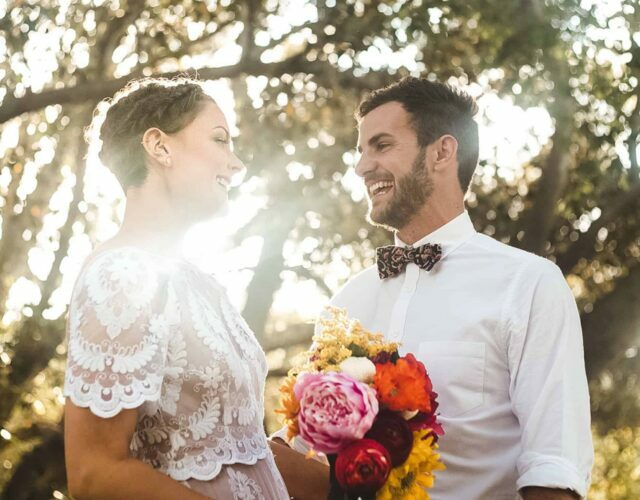 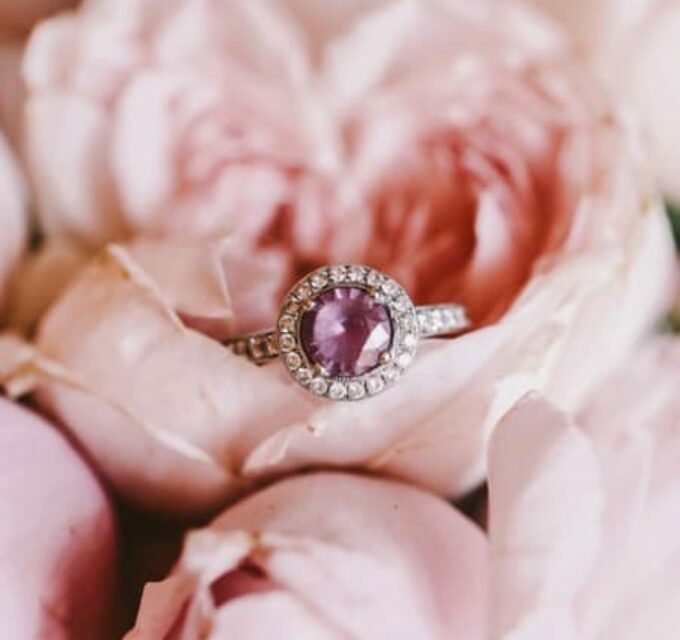 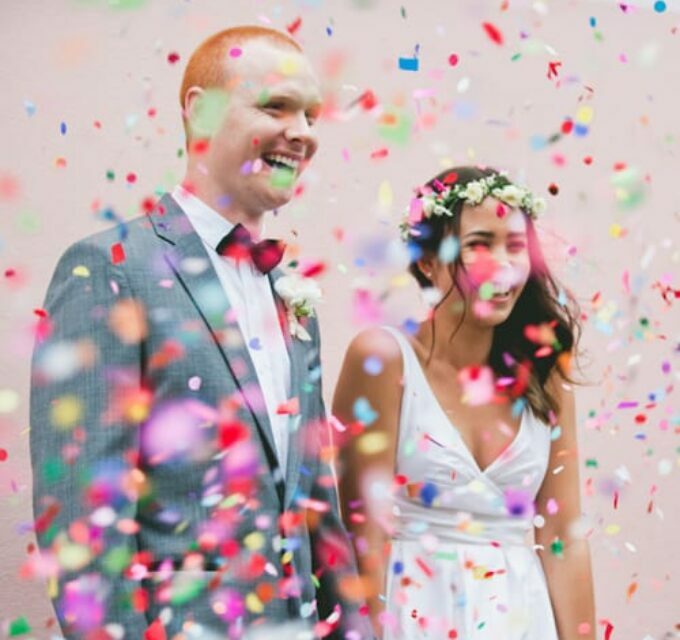 The couple kept their personalised vows a secret and had each other and their guests in tears! 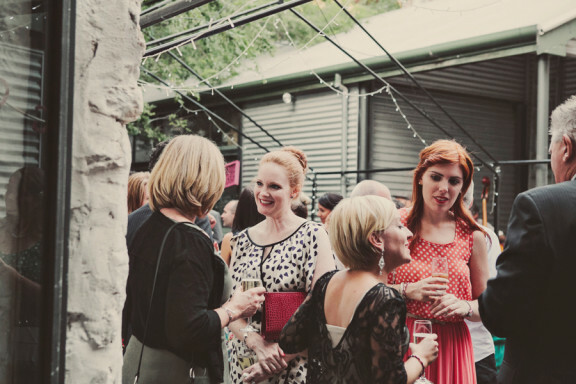 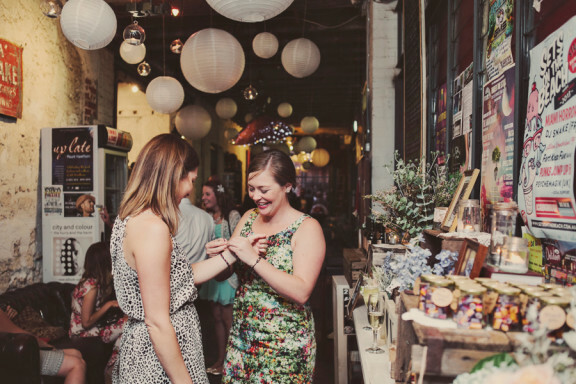 Fortunately, drinks and smiles were soon to be had just around the corner at Fremantle’s Moore & Moore Cafe. 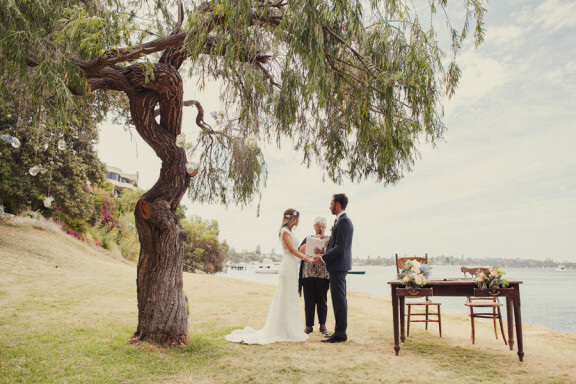 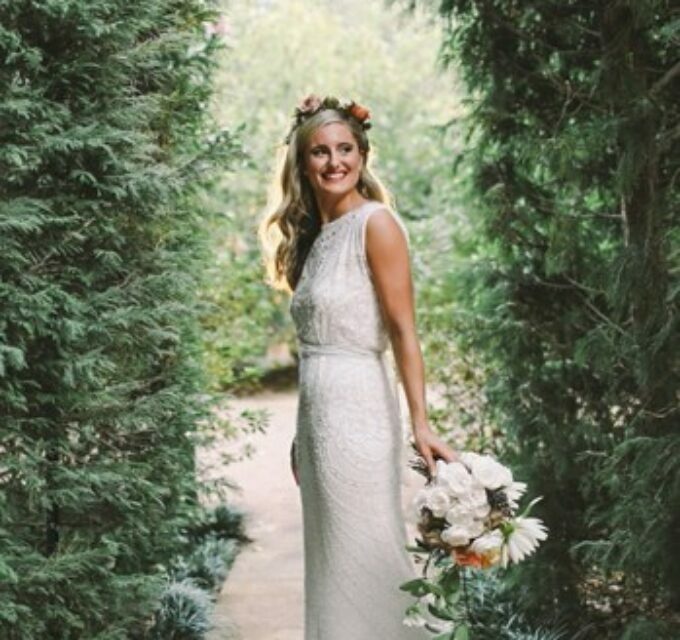 The reception was a fun, relaxed affair with an abundance of personal details made by the lovely couple. 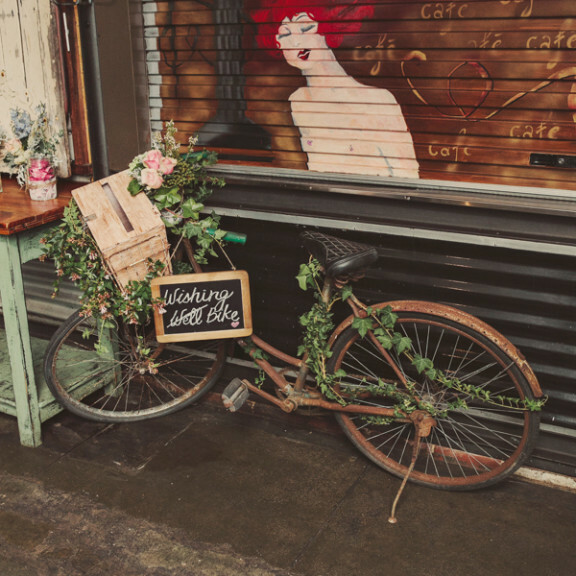 Nicole’s favourite detail was their bike ‘wishing well’ – a garage sale find which Dave resurrected and finished with a letterbox basket. 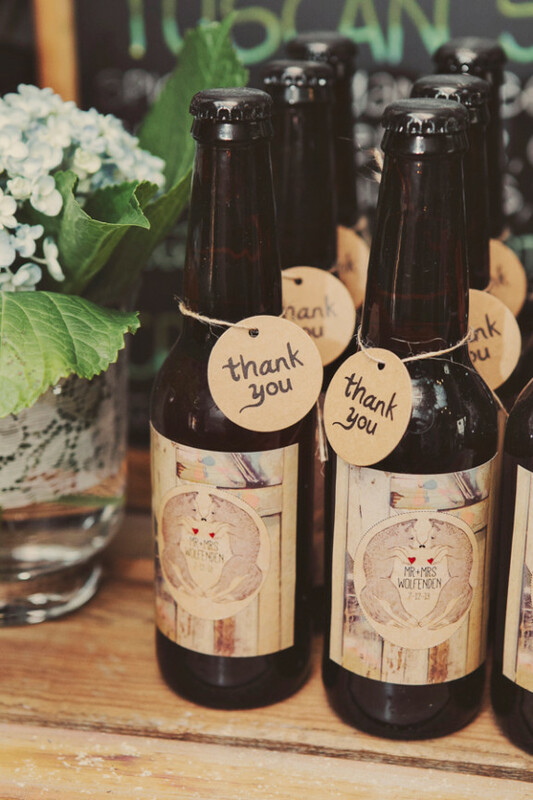 The bonbonniere table was pretty impressive too, laden with handmade gifts for the guests to take home, including Dave’s beautifully bottled homebrew. 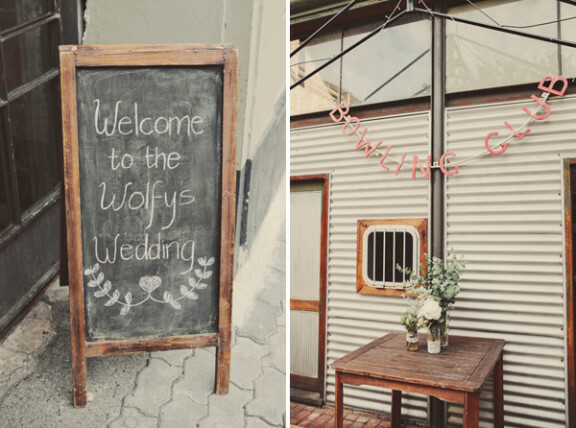 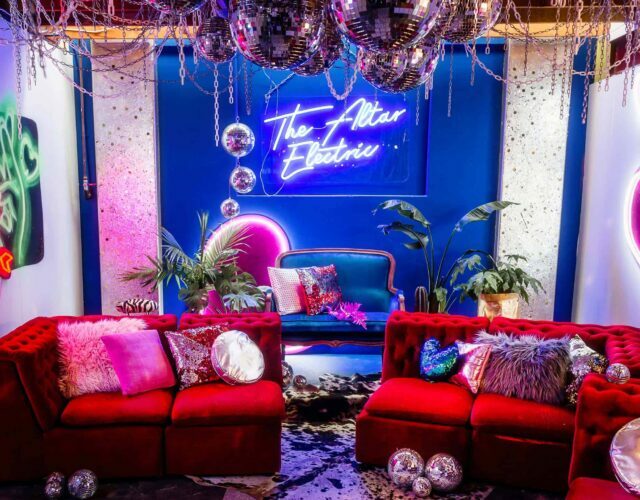 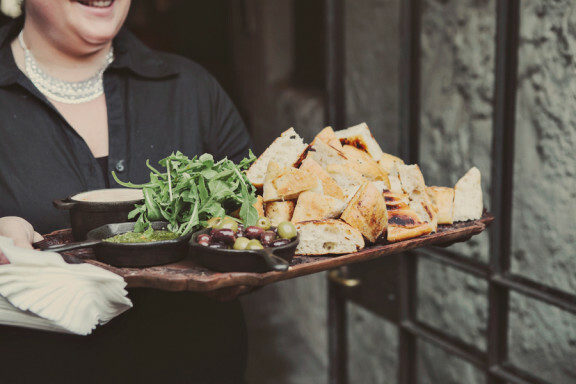 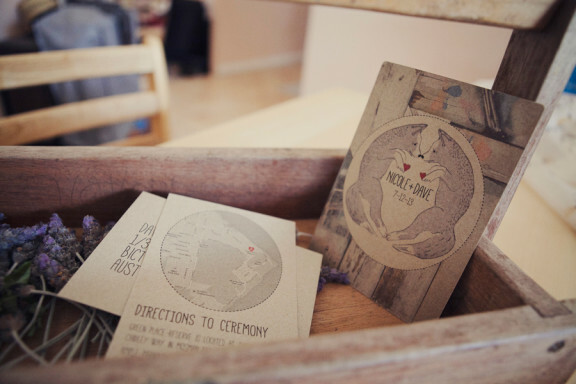 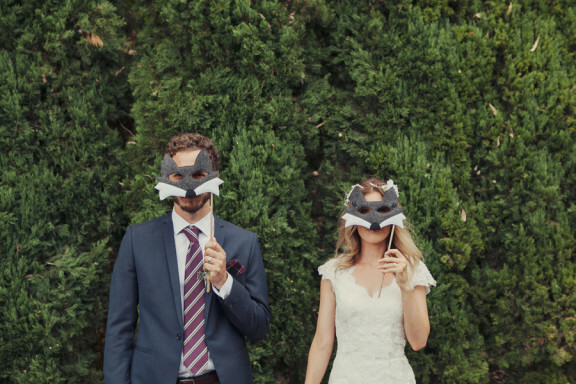 Oh, and you may notice a number of wolf references – Nicole and Dave Wolfenden are collectively known as The Wolfy’s, a theme that flowed through their entire day. 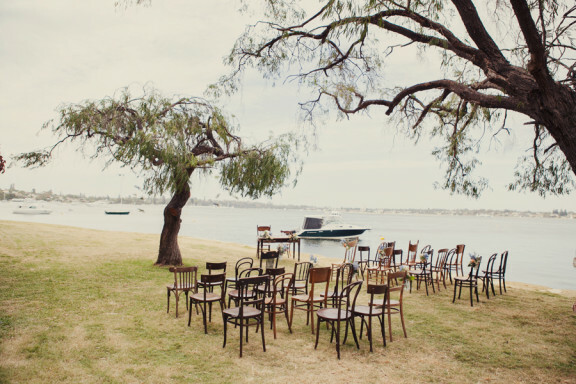 Love the location and Nice photography too !